This latest batch of picture books for the Picture Book Reading Challenge includes my choices for #5 a book set in the city or in an urban area (Tinyville Town Gets to Work), #7 a book with human characters (The Philharmonic Gets Dressed), #11 a book celebrating art (Magritte's Apple), and #39 a new to you illustrator (A Moon of My Own). 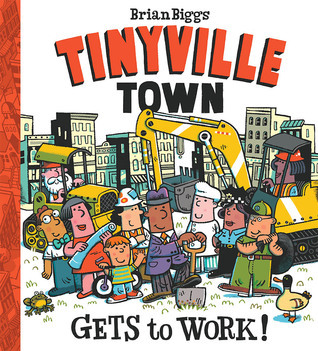 This colorful book is appealing to kids who are interested in community helpers, and cars and trucks. 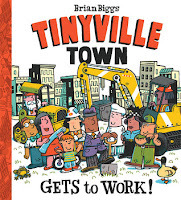 It includes not-often-mentioned members of the community, like the city planner, and it focuses on a building project (a new bridge) which is sure to delight preschoolers who love construction. Miss Muffet (age 3) and I had some trouble with the toad who appears about halfway through the story, as we were able to follow him for a few pages and then he just completely disappeared. It is also curious that the new bridge that is meant to replace the insufficient two-lane bridge is also two lanes and does not seem to alleviate the traffic problem at all. I read this at a story time and none of the kids noticed, but once my husband pointed it out, it did sort of make me like the book less. Despite that flaw, though, I'm sure this book will be popular. 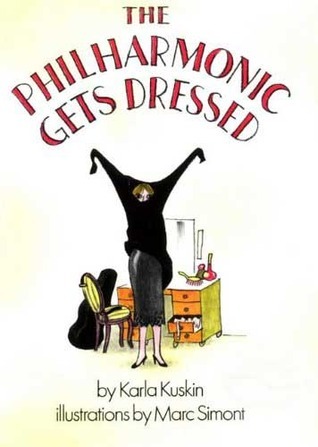 This picture book follows the members of an orchestra as they get dressed for their evening concert. I have read this book before, but had somehow never recorded it on Goodreads. It is an absolutely wonderful read-aloud. The language flows so smoothly, that the feel of the words coming out of my mouth was really enjoyable. The artwork is also very detailed and interesting, and it is fun to try following one character through the entire book. Curious preschoolers will love the specific details of each person's attire, instrument, and travel to the concert. Miss Muffet really enjoyed it, and I had fun photographing the book for Instagram. My husband borrowed this from the library, and I read it because it was next to me on the couch and caught my eye. 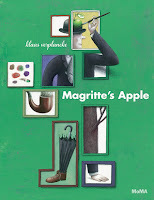 Produced by the Museum of Modern Art, it is a very simple introduction to the life and artwork of Rene Magritte. 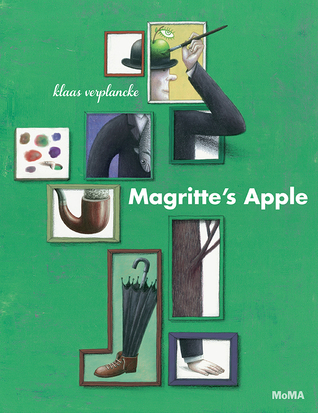 The illustrations do a great job of showcasing Magritte's style, and a "find the objects" activity at the book gives kids a reason to interact with the book more carefully upon a second reading. Biographical information at the back of the book also helps give the text proper context. This a perfect introduction to this artist for the youngest readers. My husband also chose this book, but it wound up being my favorite from that particular library trip. This magical celebration of the moon is beautifully illustrated with dramatic images which use light, shadow, and silhouette to create a sense of nighttime stillness and wonder at the moon's beauty. 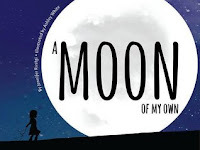 The child narrator follows the moon to different countries, while speaking directly to the moon about its subtle changes from night to night, and the comfort she finds in knowing the moon is always with her. It's a gorgeous book to look at, but also informative. The back matter talks about continents, landmarks, and the phases of the moon, and provides activities to do with young children to help them study the moon. This is one of the best picture books I have read in a long time.